Home » Travel Tales » Where It All Started. How the Addiction Began! It was some time back in early 1992, I was 22 years old and had recently finished my apprenticeship a year or two earlier. Times were good, and work was plentiful in the late eighties. I had saved a fair bit of cash and was looking at buying a house, when in dawned on me. I never had a lifelong desire to travel the world, but for some reason I just had to go. I don’t exactly know why, I was never really into world affairs when I was younger, but I believe I’ve always had the drive to find my own answers without having them dictated to me by current affairs programs, or nature documentaries. So the decision was made to sell all that I owned and to travel the world. Over the proceeding weeks I managed to sell everything I owned, from my car to computer and mobile phone (yes I owned one back in 1992), or anything else I could sell to raise more cash to take on the trip off a lifetime. To be quite honest I had no idea where the hell I was going, or for how long, but I knew it was going to take a while as I was on a one way ticket. All up it took about 6 weeks, I had everything organized, and was off on the trip of a lifetime that would change my life and my view of the world forever. From this moment on, my life has revolved around my travels. Even when I returned home from my early travels and fell back into the routine of ‘work eat and sleep’, I still feel a strong urge and desire to travel as often as possible, and I believe you’ll always find Liza and I planning our next trip to some part of the world we are yet to explore. Sitting in Nairobi’s New Kenya Lodge some time back in 1993, swapping travel stories with a couple of mad South Africans, who were knocking down bottles of ‘Tusker’ like there was no tomorrow. One of them turned to me and said ‘Son, there are three types of people who travel this planet of ours, those who travel to find some one, those who travel to find them selves and those who travel just to find a good pub!’. Well believe me when I say, I fell into all 3 of those categories. In no way do I claim to be a travel writer (if you’re looking for the next Bill Bryson then you better go back to Google), and to be quite honest the above paragraphs are the largest composition of words I have ever written about my travels. 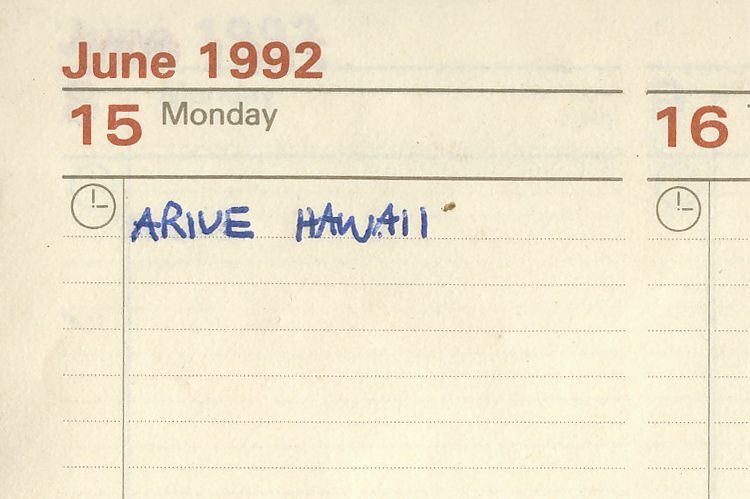 I never kept a journal (I tell a lie, I did start a journal and it reads ‘Arrive Hawaii June 1992′. That being the first and last entry I ever wrote. See above photo), but I do have a great memory for detail, and I have taken a few decent images along the way. 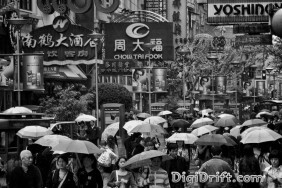 I hope you enjoy the site, and get a bit of a laugh and some insight into what its like to live with a travel addiction. I love reading about how travelers got into traveling! Your story is quite unique I think, because most people have a strong and deep calling that has been fueled for years. Mine came about from a trip I made to China for Graduate School. Yeah, it was quite weird. It all happened very quickly, but was the best thing that happened to me.